He is 61 years old, but beneath the short, steel-grey hair reminiscent of barbed wire he could pass for 51. The bloated face and body of times past have yielded to diet and exercise. George Chuvalo, at an inch over six feet, has lost 40 lb. 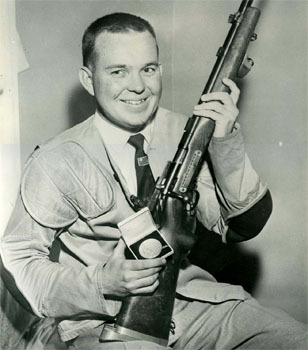 George Patrick Genereux, trapshooter, physician (b at Saskatoon 1 Mar 1935; d at Saskatoon 10 Apr 1989). 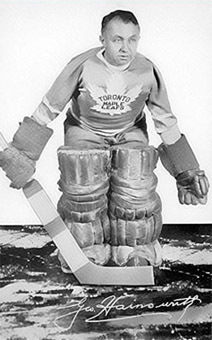 George Hainsworth, hockey player (b at Toronto 26 June 1895; d near Gravenhurst, Ont 9 Oct 1950). George Knudson, golfer (b at Winnipeg 28 June 1937; d at Toronto 24 Jan 1989). 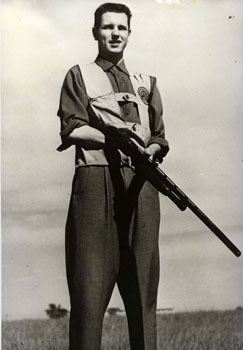 Knudson was introduced to golf as a teenager at St Charles Country Club, Winnipeg, and later moved to Toronto. 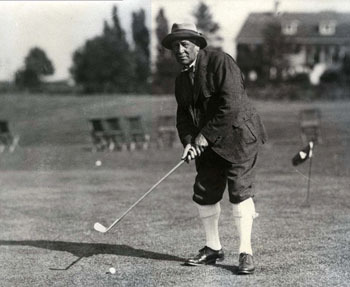 Fascinated with the golf swing, he was determined to make his reliable and efficient. 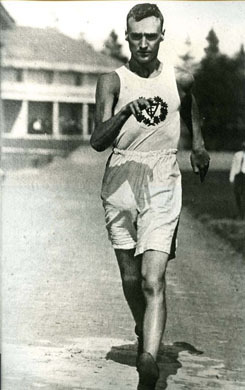 Orton was a sports pioneer who applied a scientific approach to his training that was methodical and academic and focused on the technicalities of running. 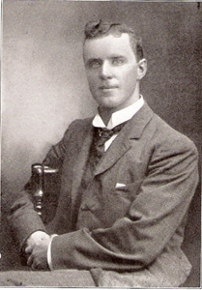 He became a prolific writer on sport and running. 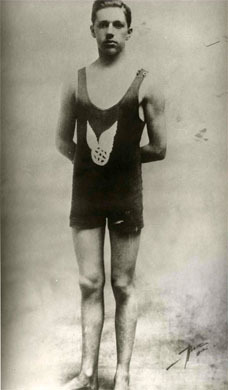 George Orton is known as Canada's first Olympic gold medal winner. 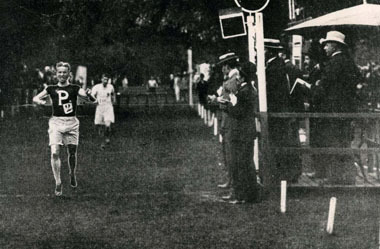 On the official Olympic Games website, there are two records concerning George Orton at the 1900 Paris Olympics. The records show that he won a bronze medal in the 400 m men's hurdles and a gold medal in the 3000 m steeplechase. George Vernot, (born at Montréal 27 Feb 1901; died there 22 Nov 1962). George Vernot was a swimmer and WATER POLO player who participated in the SUMMER OLYMPICS in SPEED SWIMMING in Antwerp (1920), and in Paris (1924). Georges St-Pierre (nicknamed GSP), mixed martial artist (born 19 May 1981 in Saint-Isidore, QC). Georges St-Pierre is considered one of the best mixed martial arts (MMA) fighters of all time. He retired from the the Ultimate Fighting Championship (UFC) with a career record of 26–2. A UFC welterweight champion from 2006 to 2007 and 2008 to 2013, St-Pierre holds the record for the most title defenses in the UFC welterweight division with nine. In 2017, he defeated Michael Bisping to win the middleweight championship, making him the fourth fighter in UFC history to win titles in multiple divisions. St-Pierre was named the 2008, 2009 and 2010 Rogers Sportsnet Canadian Athlete of the Year, the 2008 Black Belt Magazine MMA Fighter of the Year, the 2009 Sports Illustrated Fighter of the Year and the 2009 World MMA Awards Fighter of the Year. Georges Vézina, hockey player (born 21 January 1887 in Chicoutimi, QC; died there 26 March 1926).